I just started my Christmas cards, yay! 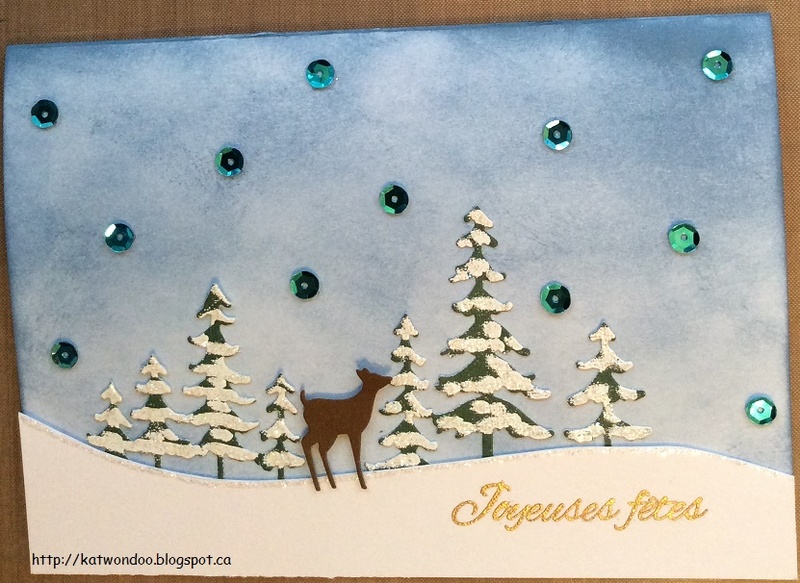 I made this one using Memory Box dies (mama and baby deer, fresh pine landscape). I inked my background with Distress ink and added sequins as snowflakes. My trees were cut on green cardstock which I partially embossed with white embossing powder and then covered with Stickles for more sparkle! The deer was mounted on 2D foam for more dimension.